This video was inspired by Arturia's Minibrute 2 announcements. Can wait to get this oscillator and filter in semi modular architecture. I have already preordered Minibrute 2S. You can expect to hear it here on March or April when I get mine. Everything comes from Minibrute. Native Instrument Replika XT and Valhalla Vintage Verb give delay and reverb with some automation. Sequence comes from DAW. I found Dawless Jammin' Youtube channel. She played with Elektron Analog Rytm. It made me interested of my Elektron machines. She had mark 2. My Elektron's are mark 1. Analog Rytm mark 2 gives sampling and more bandwidth. Nothing more if you use it with Overbridge from DAW. I can stick with mark 1 because I don't need Analog Rytm for sampling and there is enough of bandwidth with mark 1. It is always inspiring to see someone who knows their gear using similar gear you have. When I got Analog Rytm I thought I don't need another drum machine. I still thing that. I have used it like much simpler drum machine. I finally updated firmware and Overbridge. It took almost a year and there might be next update February. Overbridge for mark 2 machines is promised then. Analog Rytms should get something new then. Even the older ones. I decided learn Analog Rytm little bit better. It is drum machine but you can use voices as chromatic voices. More limited voices than in regulars synths but you can use them and use samples too. Mark 1 can't sample but it can use samples. There are better ways to get synth sounds. Analog Rytm's limitations give you sounds you wouldn't use with regular synths. It is good thing if you are looking for different sounds. I almost gave up getting bass sound for this weeks video. It was hard to get it sound good. Elektron's mark 1 analog machines were made for certain kind of music. It is not what I usually do. Analog Four didn't originally have polyphony. It came with firmware update when Elektron saw people trying to get polyphony out of Analog Four. I am trying to get some elements from style these machines were originally made for. I said I won't be getting Analog Rytm mark 2. I might get Analog Four mark 2 next to mark 1. Mark 2 sounds different enough for having both to make some sense. Mark 1 has more underground sound and mark 2 more mainstream. I like Overbridge and Analog Four is really versatile. 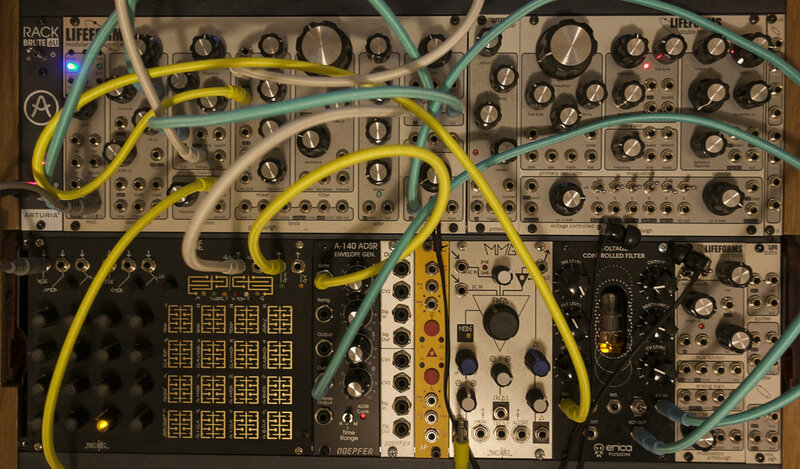 It also connects well with modular gear. If I buy another polyphonic synth Analog Four mark 2 will be high on list. I need to learn mark 1 one better before I do that.